Making your life healthier and longer is a worthy endeavor. However, it’s impossible to do unless you understand just what you’re dealing with. So it goes for anything. You can’t improve what you don’t understand. At KlothoGenics, we are fervent believers that there are levels of improvement and wellness that many people can’t achieve because they don’t understand their basic building blocks. While all humans share over 99 percent of the same DNA, we all inherit plenty of little changes and quirks from our ancestors, and they can make a profound difference. Even more, our DNA undergoes damage, repair, and replication almost constantly, and the possibility of negative change is always there. Why not do what you can to give your DNA the best chance possible? DNA is an absolutely incredible part of our bodies. 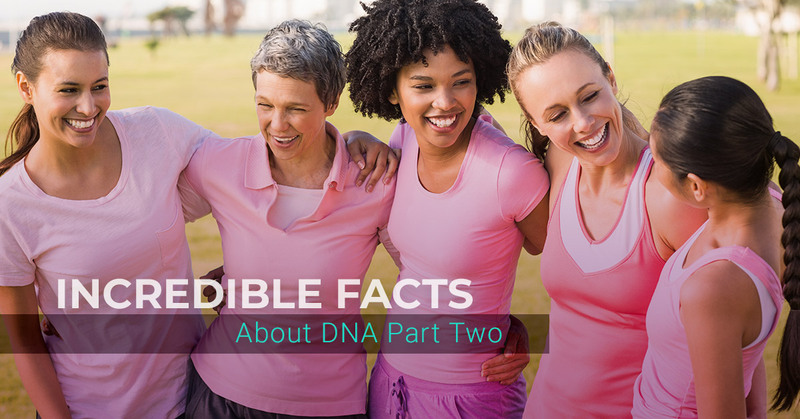 In our last blog, we shared a few of our favorite DNA facts. Today, we are excited to say that the facts are still coming! Read on to learn more about the amazing code keeping you up and running right now! DNA is so tough, it can stick around for hundreds of years. In fact, DNA has proven that the New World was visited by people long before Columbus discovered it. Thanks to DNA, we now that Polynesians got all the way to Antarctica in the year 650. We’re a lot different from the world of invertebrates, which have their bone structures on the outsides of their bodies. However, our closest relatives are mud worms. They are more like us than other invertebrates like octopus or cockroaches. We’re kind of bummed about the octopus thing, but we’re good about not being closely related to cockroaches! The human genome, which is studied and used by the team at KlothoGenics to improve your life, is a big piece of information. Let’s say you wanted to type the entire thing out once by typing 60 words per minute for eight hours a day. Doable, right? Not very. You would be typing for 50 years. That’s more than half your life! Thankfully, we have computers and other systems that speed the process up so we can learn about our unique genetics sooner. Our DNA takes a beating. Every piece of DNA in every cell gets damaged between 1,000 and a million times per day. This happens due to sun exposure and other types of dangerous radiation. It can also happen as the result of exposure to atmospheric pollutants like exhaust and cigarette smoke. DNA also breaks down due to oxidative stress within the body, which means it gets attacked from both outside and inside. Luckily, the body constantly rebuilds its DNA, fighting off the damage with an elaborate repair system. When the damages aren’t repaired, it’s called a mutation. Some mutations are good. However, most mutations are bad. Cancer and cellular death are both mutations, which is why we work so hard at KlothoGenics to support the system that repairs DNA. Who first discovered deoxyribonucleic acid and decided to give it a name that would require us to shorten it to “DNA”? A man named Friedrich Miescher. He discovered it in 1869, and humans been learning more about it (and struggling to pronounce it) ever since! Even though DNA was discovered in 1869, it took us 74 years to figure out that DNA actually stores genetic information. The discovery was made in 1943, which isn’t that long ago if you think about it. It was also between two world wars. Crazy times! If one strand of DNA is 1.8 meters, how long would all the DNA in your body be? If you extracted the DNA from every cell in your body and put each strand end-to-end, the string would travel from Earth to Pluto and then back again. That’s a total distance of 10 billion miles. So whether you’re five feet tall or seven, you have billions of miles of DNA inside your body. How incredible is that? Like we said at the beginning of this blog, you can’t fix something you don’t understand. That is why we help our clients obtain their genetic information before assessing it and providing educated advice. If you are ready to work with your genetics and avoid whatever troubles you inherited from your ancestors, contact us for genetics testing today!